Let the walls go ...up? 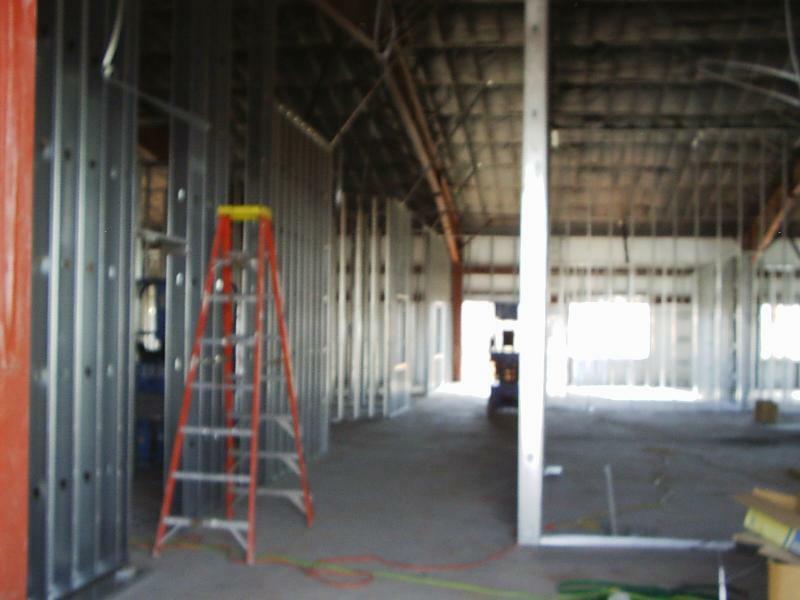 This picture is looking at the steel framing from the foyer looking back toward the offices. The wall on you left will be the bathrooms. On the right is the sanctuary. The offices go from the end of the hallway to the right along the back wall. 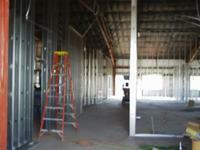 Now we have an electrical team from Pa. along with our electrical team preparing the building for wiring and sound.